As a comprehensive drop forging company, machining is our value added services for our customer. This will enable us to supply finished closed die forgings including machining. Why Machining after Closed Die Forging? We all know that machining is a precise operation based on casting, forging or billets directly. Closed die forging is a recision processing process for net shape or near net shape products. And there are lots of advantages like tight tolerances, good surface finish, few defects, ect. All these advantages attract our customers to prefer closed die forging more than investment casting (forging vs casting). Although closed die forging dies are much more expensire than that of investment castings, in the long term, closed die forging is more cost-effective, as a pair of forging dies can produce approximately 50,000pcs forgings. That is to say, closed die forging is the most ideal process for making large quantity runs. But it does mean closed die forging is prefect. In most conditions, closed die forging can elimate some machining job that is required after casting. In closed die forging, the heated billet is pressed between forging dies into desired shapes. So some dimensions can not be realised by forging, such as thread holes or other small holes. We have to leave some machining allowance when forging. Rough machining changes the shape of closed die forged blanks into that which is required by customers. The process of forging increases the strength, soundness, and hardness of stock and improves the metal’s mechanical properties. Raw or cast metal stock has uneven grain structures which can weaken the quality of the final product after machining. Closed die forged blanks offers a refined, even grain structure with higher densities and less porosity that results in a higher quality product. Rough machining is some machining operations finished by general digital controlled lathes as well as other machining machines, like boring machine, milling machine, drilling machine, ect. All these equipments will help to finish general machining requirements. Precision machining is a more precise machining job. With precision machining, we can meet some machining requirements like high surface finish Ra1.6, concentricity, perpendicularity, quick tight dimensional tolerances, ect. 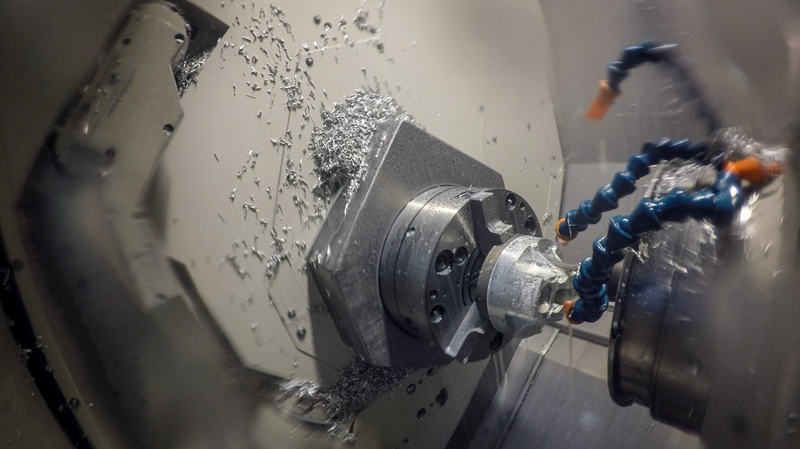 Precision machining can only be operated by various CNC machines. Due to the expensive equipment cost and high machining difficulty, cost of precision machining is much higher than rough machining. To ensure the quality of precision machined forgings, it is better to design and produce a set of fixture. Our closed die forging company provides both rough machining and precision machining services to customers who recognize the excellent mechanical properties of forged products and who want to keep their manufacturing, machining, and transportation costs as low as possible. Once customers have the machined forgings by our company , we can provide the finish machining in a shorter period of time and supply a better quality product to our customers faster and with less expense. Of course, we can also supply other value added services for closed die forging, like redesign service, surface treatment, heat treatment, custom package. Contact us if you have such requirements with forgings.